Heineken has launched a new cider brand blended with spirits, as it looks to appeal to young digital natives who "don't follow the crowd", Marketing can reveal. In prohibition-era USA, paying to watch a blind animal being paraded on stage was one of the few ways a reveller could get access to his/her favourite tipple. The thinly veiled entertainment meant the host could throw in a complementary bottle of bootleg. It was thanks to this bizarre ritual that, over time, underground drinking haunts came to be known as 'blind pigs'. Fast forward 95 years and Heineken is borrowing from that history with the launch of 'Blind Pig, a craft cider/spirit blend inspired by the underground drinking scene of the 1920s. Heineken marketing director, Jacco van der Linden, said the brand - made at a craft cidery in Belgium - is a significant development for the brewer because it signals a change in company culture towards braver, risk taking NPD. The new product comes in three flavours: Bourbon and Blueberry; Whisky, Honey and Apple; and Rum and Poached Pear. Unlike Heineken's other portfolio of brands, including giants Kronenbourg and Bulmers, it has been seeded in just 27 bars. By the summer distribution will reach 3,000. But there won't be any above the line, big bucks marketing spend from the world's third largest brewer. Van der Linden wants people to "discover" it. "This is for me a new level of innovation," he says. "A lot of our innovation has been catching up with the market or scaling certain trends that we knew were in the market. For me, this is more of a risk but more interesting innovation where you start to find new boundaries and take the lead in growing and shaping the category." Cider has been in growth over the past decade, contrary to beer sales which have been struggling over that same time period. 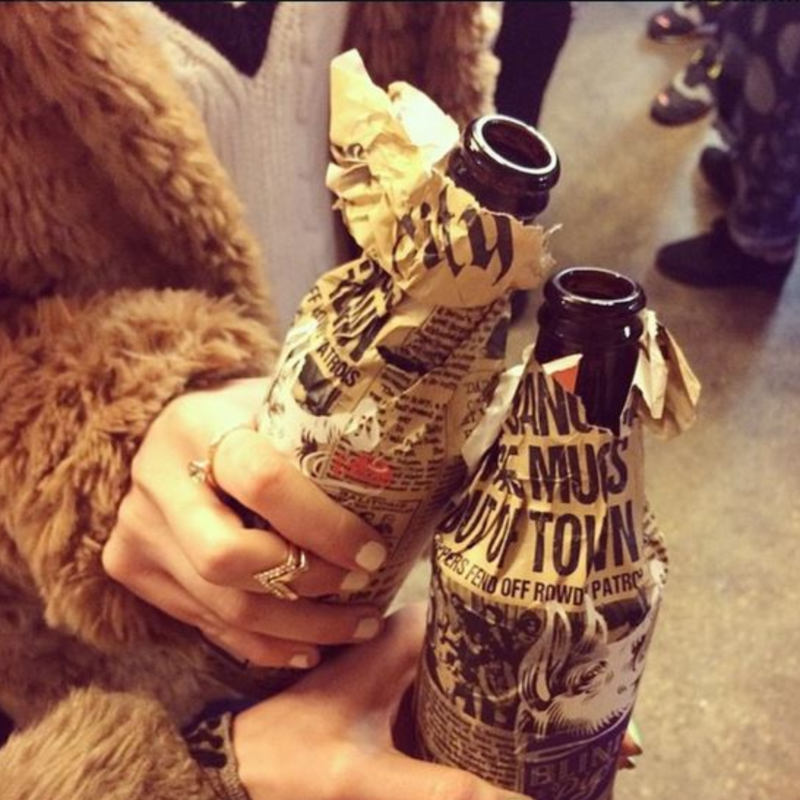 Trends including sweet fruit blends have seen cider take off. 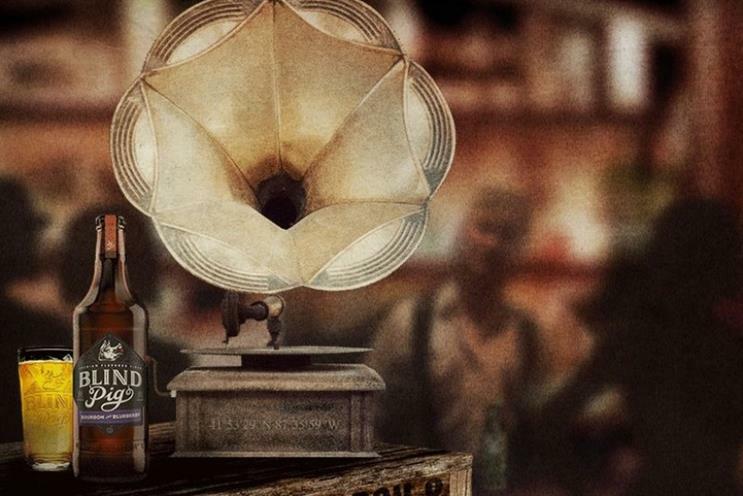 With Blind Pig, Heineken is trying to call the next trend. Van der Linden hopes that will be cider blended with spirits. The concept has already taken off in beer - with the likes of Desperados, for example, and Blind Pig is designed to tap into a multitude of trends: craft, premiumisation, spirit flavouring and sophistication. 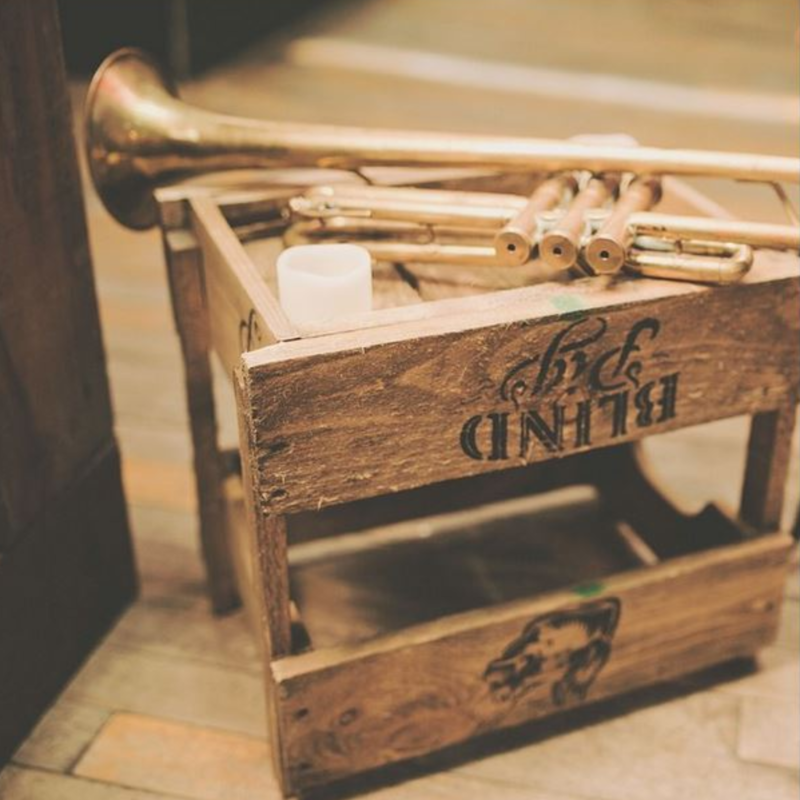 "Blind Pig is something that we’ve taken from idea to concept, completely developed ourselves inspired by the 1920s speakeasies... When you see that cider is a bit more at the end of the curve then you have to launch something else that you believe can add value," he explains. The branding is all about theatre. 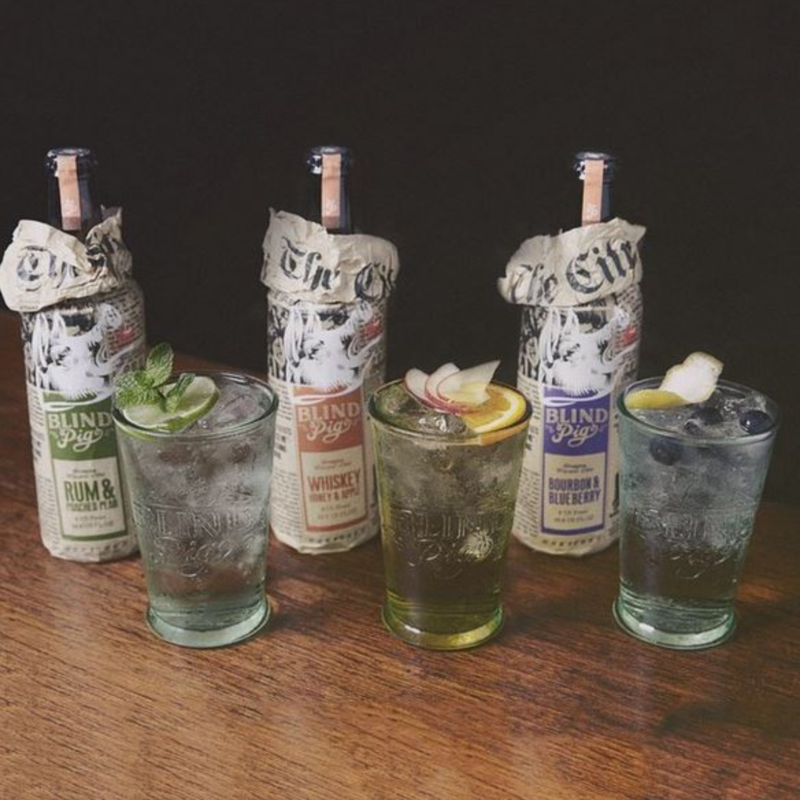 The bottles, modelled on vintage American whisky, come wrapped in 1920s style US newspaper design and sealed with illustrated stickers. The co-ordinates of the producer are printed on the glass. Even the crates look like vintage wood. Heineken is trying to get the on-trade to buy into the concept. With an RRP of £4.95 and some bars selling it for as much as £7.50 a bottle, it is being positioned as a premium product. The move to seed a high end product with limited distribution is almost counterintuitive for a business of Heineken's scale. But Van der Linden says that this is the point. The product will be marketed at 21-27-year-old "cultural influencers" who like to go against the mainstream and "digital natives" who want to "be in the know". It is intended to be gender neutral to tap into the growth of mixed gatherings, Van der Linden adds. "My biggest fear is that it grows too big too quickly and that might sound a little bit odd," he says. "We have a very good reputation and very good capability in driving awareness from a brand marketing point of view and driving distribution rapidly. "That’s exactly what we shouldn’t do with this brand. Because then we’ll have a short term boost but then we’ll kill it forever." A TV ad, he explains, would destroy that brand strategy. Instead, Heineken will roll out a storytelling focussed digital and social media campaign with Instagram as the main platform. Heineken is marketing like a start-up with a low profile launch designed to add credibility to the product. "It’s a fine line between consumers being aware of it and asking for it and staying true to this concept of discovery," he explains. "It’s less obvious that we’re trying to leverage our strengths as a big company. We’re trying to hide the fact there’s a big company behind it, which in terms of our business model makes it much more challenging." Over the next three years, distribution will build, with the potential for selected high-end retailers to sell Blind Pig, he says. Heineken, he insists, is committed to building scale in the long run. The concept has been more than two years in the development. The launch is part of Heineken's plans to grow through NPD and innovation. Some 35% of its revenues currently come from NPD, though the business wants to increase this figure and has accelerated innovation seven fold over the past four years. 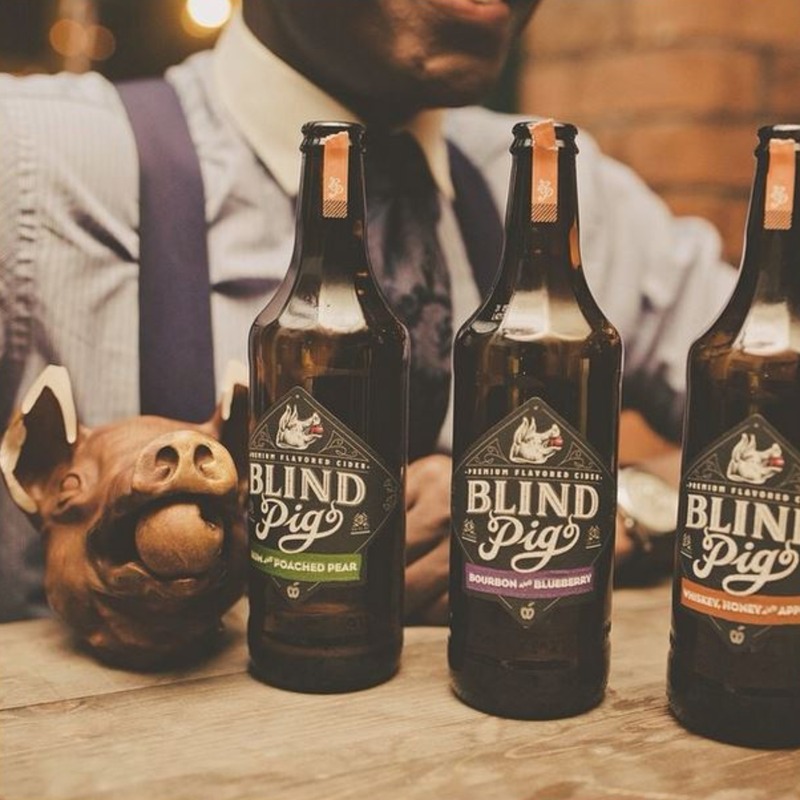 Blind Pig is labelled internally as a "strategy brand". This means it will be given increased focus and resource. "Up until now we had an unwritten rule that if we didn’t sell 'X' amount of a new innovation in the first few months, we would qualify it as a failure," he says. "The fact we’ve even launched this rewrites the definition." "For me the most important thing is that Blind Pig is a concrete testimonial that the company culture has changed. We used to be a really risk averse company where the risk of failure was dominating what we were doing. "The culture today is the realisation that if failure is not an option, success isn’t either."